‘Y Gododdin’ is a poem commemorating the Battle of Catraeth of 598 A.D. Although it is repetitive and very challenging to interpret, it is the oldest poem in a dialect of what we now call Welsh, and parts of it may represent some of the oldest poetry from Britain. When: Wednesday the 26th of November 2014 at 3 o’clock PM. Where: The usual place: Cardiff University, Humanities (John Percival) Building rm. 2.04a/b. What: The memori reading group. This month we will discussing ‘Y Gododdin‘ (translated in the link by Joseph Clancy) perhaps one of the oldest British poems. The Date: Scholars are divided about how ‘Y Gododdin’ should be dated. Although it commemorates the Battle of Catraeth, the language of the text can best be dated to the ninth century A.D. and it is only found in one late medieval manuscript (The Book of Aneirin, after it’s author) dated to the second half of the thirteenth century AD. The Koch-book (pronounced cook-book) above attempted to “reconstruct” (i.e. translate) the text into its assumed sixth century British original. This proved that the book could have had an early origin, but not that it did, and has attracted strong criticism. The safest bet is to see our current version of the Gododdin as a text copied from a ninth century poem, which may have earlier roots, and a strong connection with ‘Yr Hen Ogledd’ (the Scottish borderlands) as well as Wales. In the text we have received there are several literary ‘heroic age’ features. The heroes wear torques, which were not worn in the sixth century. Heroes of Welsh literature like Arthur and Culhwch are mentioned, even though they were not invented until later. The wolves and ravens are obviously literary embellishments., and the heroes seem to make record time to Catraeth after setting off at dawn. 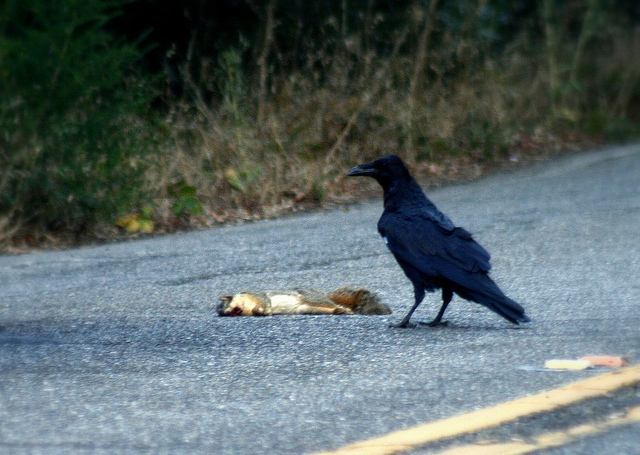 Common raven photographed by TJ Gehling and licensed under CC-BY-NC-ND-2.0. The Story: Gododdin was an early medieval kingdom which emerged in post-Roman Britain. Its capital seems to have been Din Eidyn (Edinburgh), and its people spoke British (the language ancestor of modern Welsh and Cornish). According to usual scholarly consensus, in 598 AD Mynyddog Mwynfawr gathered a host of men from Gododdin and mercenaries from other kingdoms around Britain. He feasted this host on mead and good food for a year, and then took them to attack the kingdom to the south. 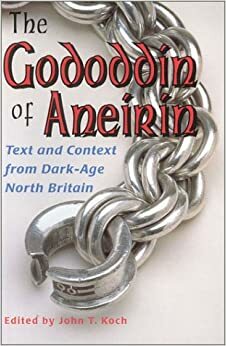 The attack failed but it inspired Aneirin to write the Gododdin. What was the kingdom to the south? This is difficult. The oldest part of the text identifies the people as Deirans and the most modified part adds the Bernicians who conquered Deira in the seventh century. However other Welsh sources identify Catraeth with the kingdom of Rheged, another kingdom speaking British, centered around Carlisle. Important themes/motifs: Throughout the poem we get very fine examples of animal metaphor, where the heroes are compared with ferocious beasts. This kind of literature is usually thought to have originated later on, so it’s interesting to note in an early context. The beasts of battle motif seems to be fully developed in this poem. Wolves and ravens crowd the text, happy to be so well fed (on corpses) by the heroes. The text glorifies war and warriors, which might contrast with, for example, Canu Llywarch Hen which we read previously. The Interpolations: What do you make of these stray verses found in the text of ‘Y Gododdin’. They’ve been taken out of our text by its proactive editor. Do they fit in the text? Why were they put there? I sang, and so eight slaves would sing. As a lion strikes a small animal. A fish from Derwennydd Falls. None could escape, unless it had wings. 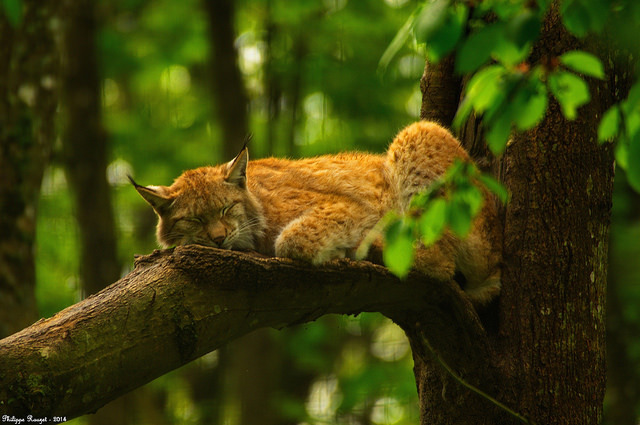 Eurasian lynx photographed by Philippe Rouzet, CC-BY-NC-ND-2.0. This animal was probably still found in Britain at the time of the Battle of Catraeth. Finally, it has been suggested that the persona of the poet should also be considered an interpolation, which means verses 1, 20 and 48 of our edition might also be suspect. Everyone is welcome. Come along and compare notes on the text! If you liked this blog post why not click below to see some of the others I’ve written. You can also visit me on Twitter @NaturalHistoryL or follow me on Facebook to get the highlights without any of the boring bits.